Around €880 million ($989m) has been pledged to games on crowdfunding website Kickstarter. 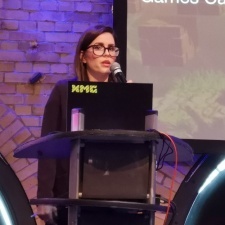 Speaking at Quo Vadis 2019, Kickstarter senior games outreach Anya Combs said there had been 16,700 successful projects which in total had received 3.2 million backers. That splits roughly across 1.6 million backers for tabletop games and 1.6 million for video games. Across all categories on Kickstarter, 16 million people have backed a project on the site, making 52 million pledges.